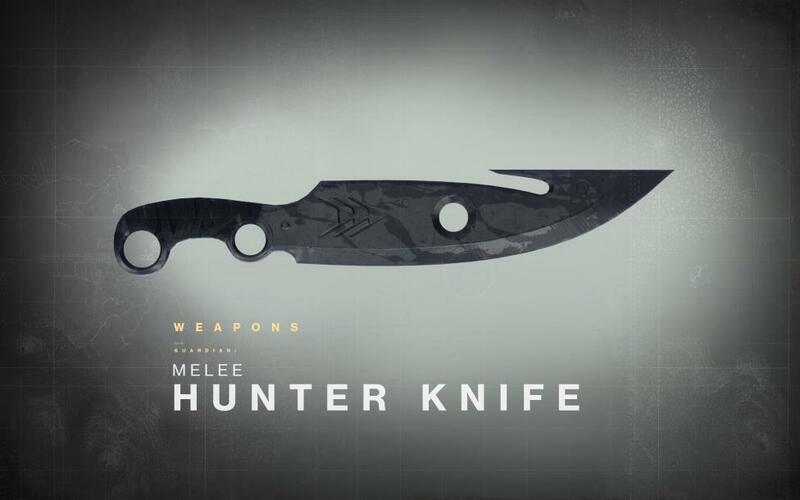 There is a class of character in “Destiny” called the “Hunter” which, among other things, is known for a guthook‐style knife these players carry. 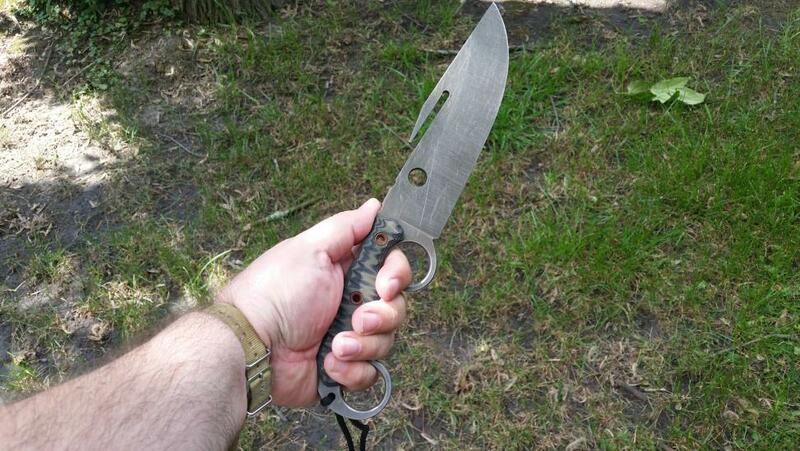 More than once, Chris expressed an interest in finding a knife similar to this one. As no officially licensed replica exists for purchase, he was limited to poor‐quality cosplay replicas or double‐ring knife models that happened to be similar. At least, he was limited to these until Mike Wallace learned of his quest. The design was not without its challenges. All Mike had to work from were digital images of the knife from the video game. As a fictional creation, there was no guarantee any of the blade’s features were advisable in a real knife. 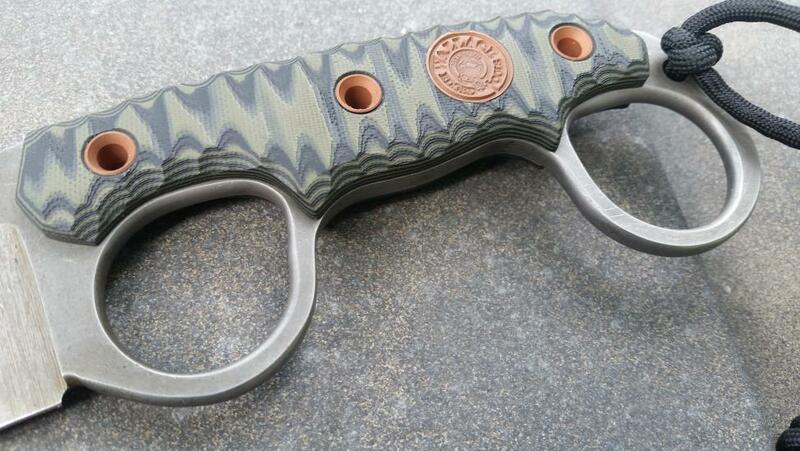 These included the layout and location of the pointer and pinky finger holes. “As hand sizes vary, this is always tricky,” Mike explains. The holes also required special attention to polishing and finish to make them comfortable to use. 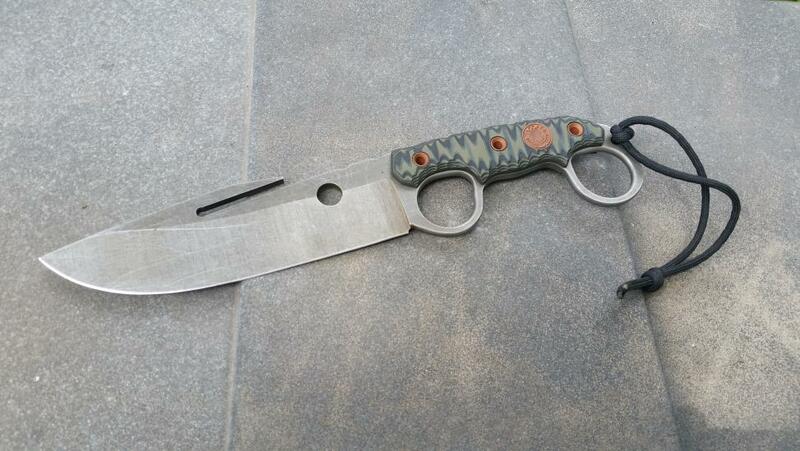 Judging by the results, Mike was 100% sure he could create this Destiny Hunter ‐inspired knife. This is, as all of Mike’s blades are, a well‐made knife that exhibits remarkable attention to detail. Although sized for average hands, it fits comfortably in my own big mitts. The texture of the G10 handle provides great traction, but it is also attractive. The gut hook is not sharpened and was included for style only, and the hole in the blade had to be made smaller than in online images (for what I presume were issues of structural integrity). 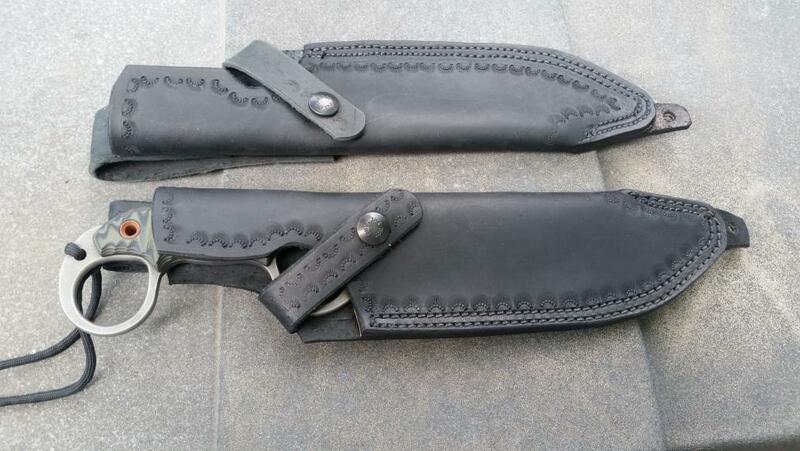 Setting aside those small deviations from the template, this is not just a credible Destiny Hunter knife prop, but also a completely functional hand‐crafted field knife. It shipped impressively, even frighteningly sharp. And, yes, the knife is as comfortable in a reverse grip as in a forward grip… although I wouldn’t attempt to throw it, in futuristic combat or otherwise. This knife is a credit to Mike Wallace’s knifemaking skills. It is also a pleasure to give to someone like Chris a gift he will appreciate and enjoy. Thanks to Mike’s quality work, this is something Chris can enjoy for years to come… and if you want Mike to take a crack at your own favorite edged tool, he just might be willing to try. You can reach Mike, as always, though his website and at mike@wallaceedgedtools.com. For more on Chris Carswell’s charity activities, stop by 1Boy4Change.org. 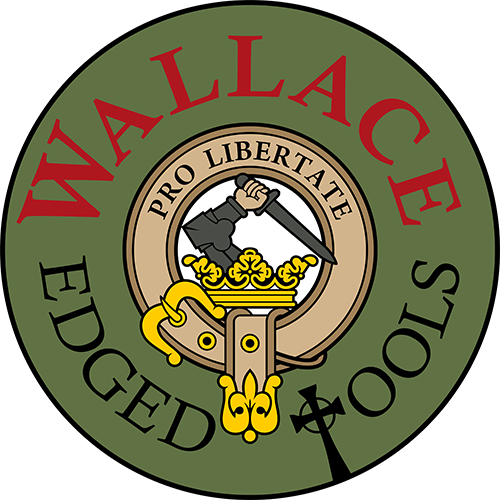 Check out wallaceedgedtools.com for more information!